Mallary Marks 18K yellow gold heart dangle earrings with tsavorite and blue zircon. 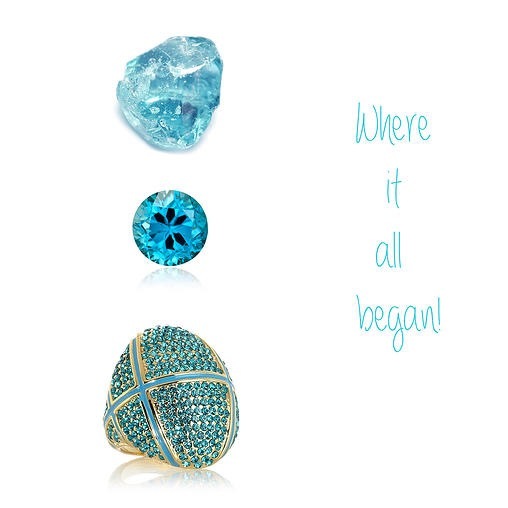 December birthdays have claim to three gemstones, zircon, tanzanite and turquoise, each of these gemstones carries a unique blue tone, very different stones but beautiful all the same, you get three for one! This month we will be featuring all three gemstones but today is the zircon’s day. 18K yellow gold ring with blue zircons and enamel. Fun fact: Zircon is rated 6 to 7.5 on the Mohs scale. It has fair to good toughness. While zircon is not as hard or tough as a stone like sapphire, it can still be worn in all types of jewelry as long as proper care is given to avoid rough wearing or hard blows.